Location was so convenient, grounds where beautiful, beach was gorgeous. Staff was friendly and so helpful. The pineapple tea was also pretty amazing. The staff were very pleasant and helpful, they upgraded our room to one with a view, which was awesome!! Pool and hot tub are nice and clean, and seats were available. Friendly staff, took care of minor problem quickly. Nice view. Quiet. Very clean. Dining options walking distance a plus. Best location on Maui. Not as fancy as the other resorts in Kaanapali but clean and comfortable. Beautiful, well-equipped condo with ocean view from the lanai. Quiet. Nice pool area. Underground parking was convenient. There is a free washer dryer by the elevators on every floor. Staff were pleasant, housekeeping excellent. Whalers Village shopping and great beachside restaurants are an easy stroll from the condo. We took two whale watch trips with different companies that board their catamarans right from the beach. Concierge can arrange. There was even an early a.m. drop in ($10) yoga class by Carl, on the lawn overlooking the ocean : highly recommend! This is a pricey stay, but worth it. Paradise, really! The view is unbeatable. The staff are knowledgeable and extremely helpful and friendly. We loved our stay just wished it was longer. Great place. We’ce Stayed at numerous places in same area but nothing compares to The Whaler! The location was great once they moved us after finally agreed to move us as I requested higher floors and they insisted our room was to be on the first floor. Lock in a great price for Aston at The Whaler on Kaanapali Beach – rated 9.1 by recent guests! Aston at The Whaler on Kaanapali Beach This rating is a reflection of how the property compares to the industry standard when it comes to price, facilities and services available. It's based on a self-evaluation by the property. Use this rating to help choose your stay! One of our top picks in Lahaina.Featuring beautiful views of Kaanapali Beach and private access to shops and restaurants at Whalers Village, this oceanfront resort is 8 minutes' drive from downtown Lahaina. 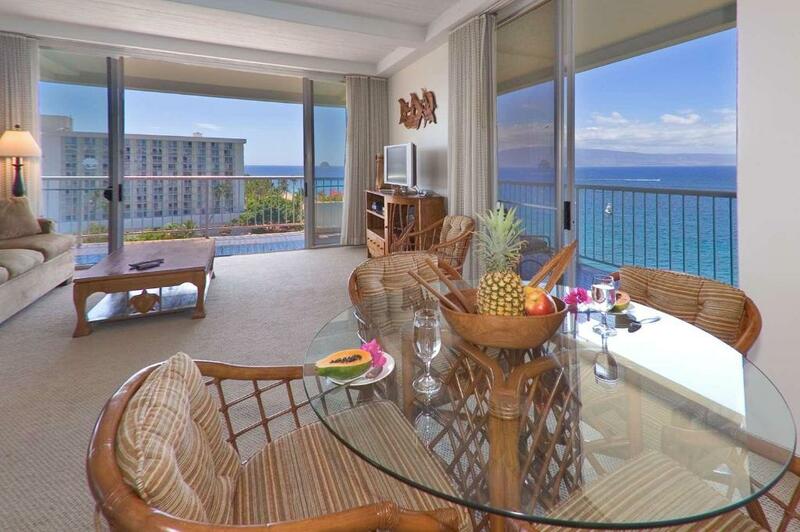 The Whaler on Kaanapali Beach offers bright, spacious rooms with a view of the ocean or gardens. 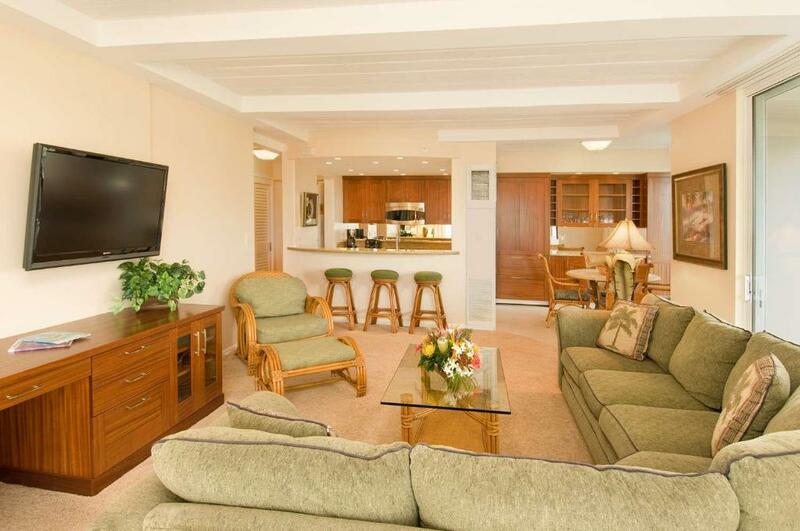 A private balcony, fully equipped kitchen and cable TV are provided. Guests of The Whaler on Kaanapali Beach are welcome to enjoy the full-service spa and salon or play at the beach. A pool, sauna and fitness center with tennis courts are also open. Guests can enjoy freshly cut pineapple upon arrival. Grocery delivery services are available. Barbecue facilities are also located at the resort. 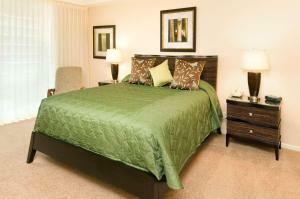 The resort is adjacent to the Kaanapali Golf Course Resort and less than 5 miles from Kapalua-West Maui Airport. 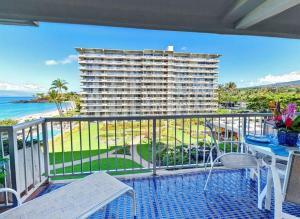 This property also has one of the top-rated locations in Lahaina! Guests are happier about it compared to other properties in the area. 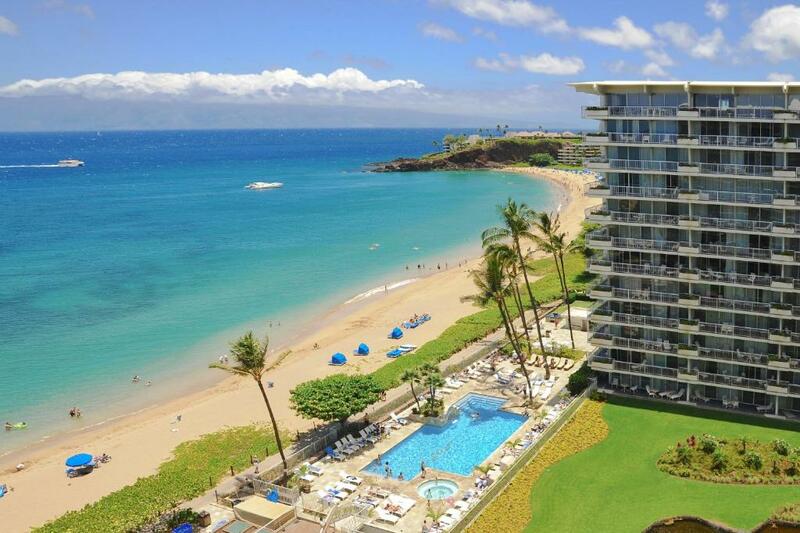 When would you like to stay at Aston at The Whaler on Kaanapali Beach? Featuring a garden view, this spacious studio offers large private balcony, a TV with cable channels, and an private bathroom. Select units have a sofa bed. Requests are not guaranteed. Featuring an ocean view, this spacious studio offers large private balcony, a TV with cable channels, a fully equipped kitchen with a dishwasher, refrigerator, a microwave, a coffee machine, and a blender, air conditioning, daily housekeeping, and an private bathroom complete with a shower or a bathtub and a hairdryer. Featuring an ocean view, this spacious suite offers large private balcony, a TV with cable channels, a fully equipped kitchen with a dishwasher, refrigerator, a microwave, a coffee machine, and a blender, air conditioning, daily housekeeping, and an private bathroom complete with a shower or a bathtub and a hairdryer. Select units have a sofa bed. Requests are are not guaranteed. Featuring an ocean view, this spacious studio offers large private balcony, a TV with cable channels, a fully equipped kitchen with fresh orchids, a dishwasher, refrigerator, a microwave, a coffee machine, and a blender, air conditioning, daily housekeeping, and 2 private bathrooms complete with a shower or a bathtub and a hairdryer. Featuring a garden view, this spacious studio offers large private balcony, a TV with cable channels, a fully equipped kitchen with a dishwasher, refrigerator, a microwave, a coffee machine, and a blender, air conditioning, daily housekeeping, and 2 private bathrooms complete with a shower or a bathtub and a hairdryer. Featuring an oceanfront view, this spacious studio offers large private balcony, a TV with cable channels, a fully equipped kitchen with fresh orchids, a dishwasher, refrigerator, a microwave, a coffee machine, and a blender, air conditioning, daily housekeeping, and 2 private bathrooms complete with a shower or a bathtub and a hairdryer. From the moment you drive into Kaanapali Beach Resort and check-in with Aston at The Whaler on Kaanapali Beach, you will know you've arrived in paradise. A place where you're met with warm aloha and provided top-notch service in Hawaiian hospitality. Days are spent swimming our sandy beachfront, lounging at the poolside and strolling our tropical gardens. When needing to step off-site, you'll find convenience in nearby shopping and dining, as well as easy access to the main highway for island sight seeing. Evenings, choose to prepare meals in your suite's full kitchen and dine on your private patio with stunning views of the Pacific or the vast mountain side. Later, sit by the open fire pit as you recall the day's adventures. Choose Aston at The Whaler on Kaanapali Beach because your dream Maui escape awaits, and we're here to greet you. House Rules Aston at The Whaler on Kaanapali Beach takes special requests – add in the next step! Aston at The Whaler on Kaanapali Beach accepts these cards and reserves the right to temporarily hold an amount prior to arrival. The room was brand new and I loved they had a new Murphy bed instead of a pull out for my kids. We loved the resort, the staff were so friendly and accommodating. We mentioned that we were there for our honeymoon and we were greeted with wine and gifts in our room. The room was very large, the bed was super comfortable and we had a nice balcony overlooking the garden and the beach. The location was excellent, right next to Whalers Village and the pool was great! Would definitely stay here again! The apartment was spacious and beautiful with wonderful ocean views. Very well appointed and the service was excellent. Our room (and majority of rooms on the south side of tower 2) was facing extremely loud industrial A/C unit (or something like that). Instead of breeze and sound of ocean, all we could hear was that loud buzzing. Every apartment is individually owned, so you never know what you'll get when you book a room. Concierge service is just an incredible rip off. They are reselling activities, at a "special discount rate of -$10", BUT in the end you'll pay $10 to $20 MORE per person, per activity, than if you went online and/or booked directly. They put very little effort in helping you, knowing their next victim is just around the corner. Good location, right on the beach. "Inner court" is nice. Our apartment/condo/room was in a pretty good shape (they call it "premium"), but every condo is individually owned, and quality varies. Underground parking is really convenient, if you manage to grab a spot (need to come before 18/19h), lifts go directly from the garage to apartments, for both towers. We loved the view of the ocean, the clean beach, the tropical garden ant the whaler vilage espetialy that it took us 3 minuts to walk there! The staff where very nice, frendly and helpful, especially Emy at the front desk. Hot tub always full of kids. Need an adult hot tub.